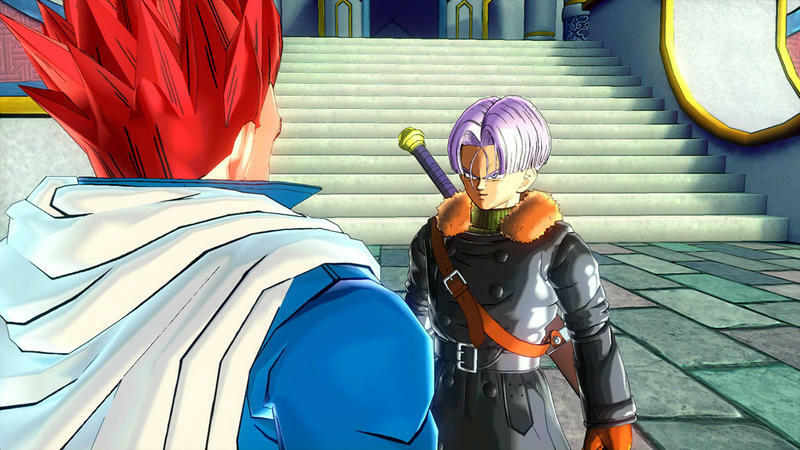 Who is this Mystery Fighter in Dragon Ball Xenoverse? 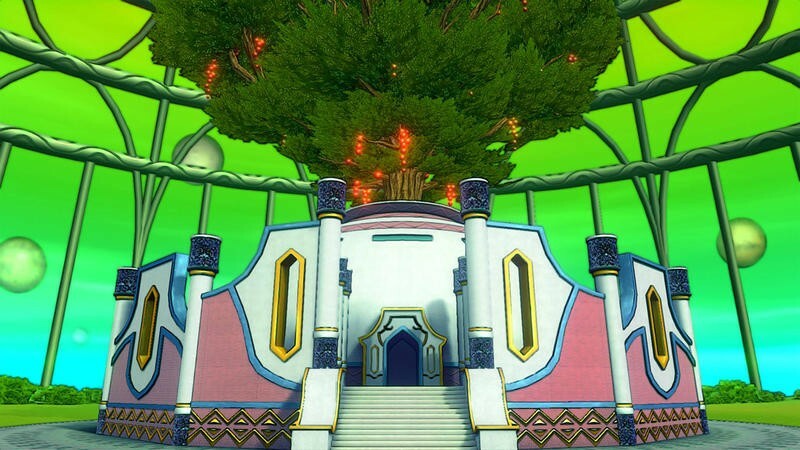 Dragon Ball Xenoverse will be taking quite a few liberties with the established Dragon Ball Z canon. As probably hinted by the title, all of these events take place in an alternate universe, or dare I say… in another dimension! One such liberty is the introduction of a brand new fighter. Our new hero is obviously the spawn of many different character themes and design choices rolled into one. 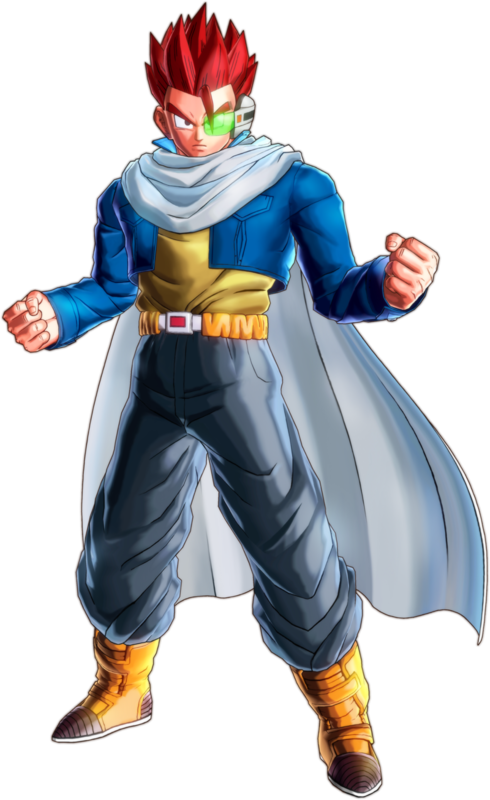 Spiky hair like the Saiyajins, a green scouter, Majin Buu-esque belt and pants, a white scarf like Piccolo, and most noticeably, a Capsule jacket like the one worn by Trunks. Man, that Akira Toriyama loves to mishmash, doesn’t he? 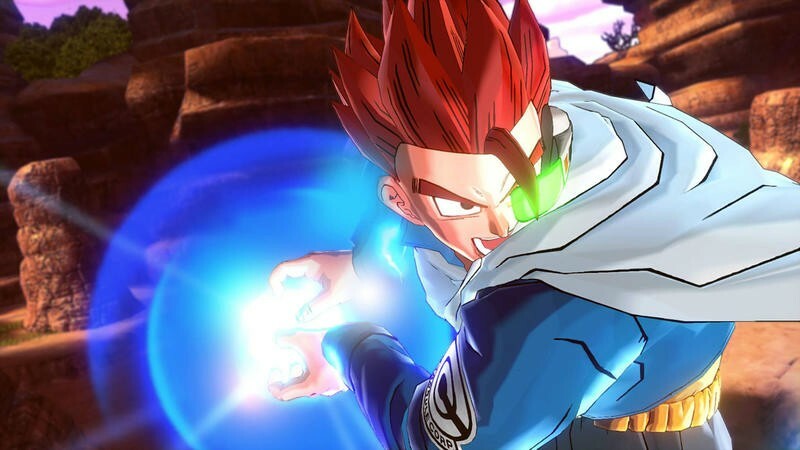 Who is this new fighter, and what does he want? 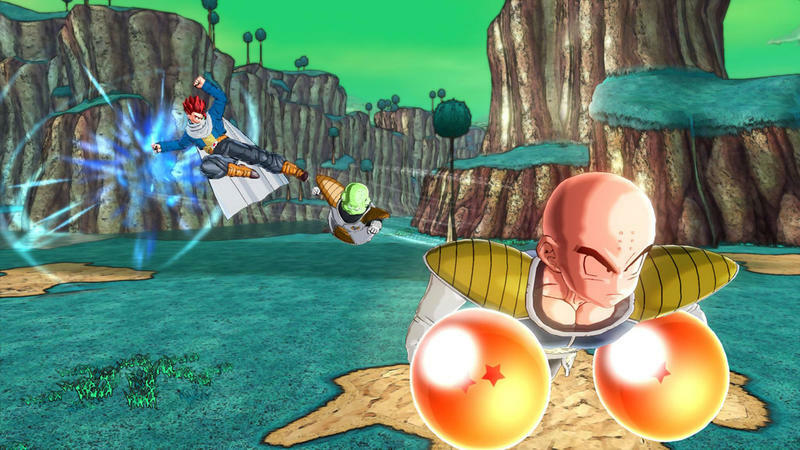 He’s obviously on the side of good, defending a fallen Piccolo and laying the smackdown on Nappa. 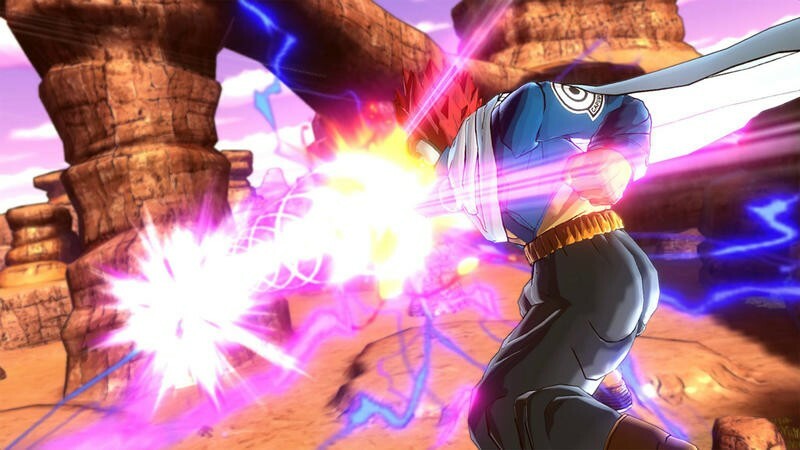 Aside from him, we also get our first look at Trunks. He’s toting a new dark gray coat with an orange fringe around the neck and a green undershirt. Clashing with his purple hair, he’s as stylish as always. 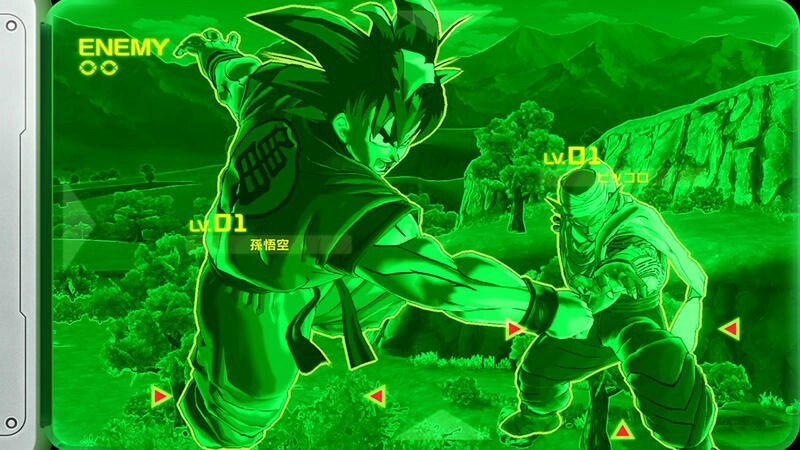 Also making his debut in the screenshots is Guldo from the Ginyu force. 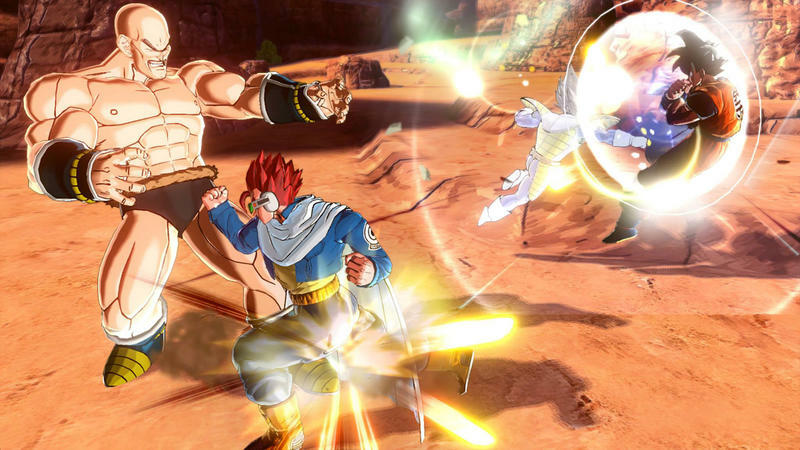 Thanks for that one, Bandai Namco. Despite how old they are and how much their colors clash horribly, I still love the Akira Toriyama approach to character design. Make it consistently ugly as possible, and it will all work out in the end. Somehow, it does just that with both of these new designs. Somebody pinch me for thinking those colors go well together. 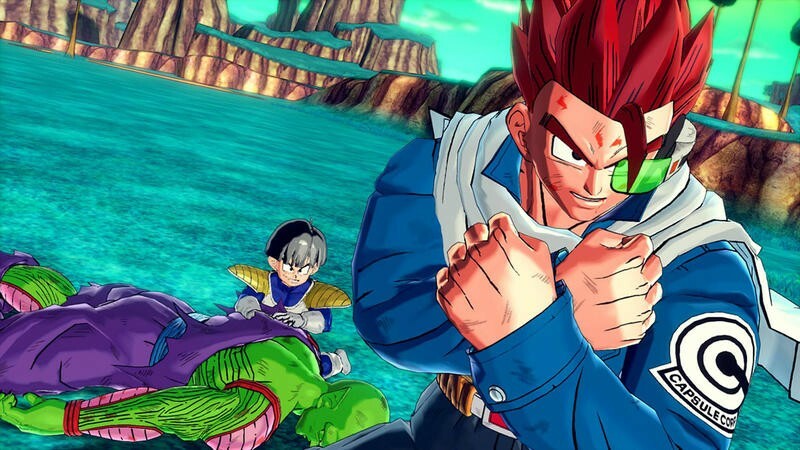 Dragon Ball Xenoverse will take Dragon Ball Z into the next generation with a release on the Xbox 360, Xbox One, PlayStation 3, and PlayStation 4.